"Reality TV Extolling Christian Mercy and Compassion "
THE SURGERY SHIP is a terrific, inspiring, heart-stirring TV program that’s all about empathy and good, with lots of Christian faith and prayer. The non-profit organization Mercy Ships sends teams of volunteer doctors and nurses on a ship to some of the most underserved countries in the world to provide much needed medical services. The first episode follows the stories of a few individuals in the African country of Benin who are approved for surgery, and the doctors and nurses who give so much of themselves to help. THE SURGERY SHIP is a terrific, inspiring, heart-stirring TV program that’s all about empathy and good, with lots of Christian faith and prayer. The non-profit organization Mercy Ships sends teams of volunteer doctors and nurses on a ship to some of the most underserved countries in the world to provide much needed medical services. In the first episode of THE SURGERY SHIP, the Mercy Ship arrives in the African country of Benin. The need for skilled surgeons is so great, thousands of Benin people show up hoping and praying that they’ll be approved to receive an appointment. Because there’s only so much that the doctors can do for some conditions, they sadly have to turn away many people, but some individuals are approved to receive life-changing surgeries. Many of the conditions that people have are huge tumors that create terrible deformities, many of which are life-threatening. The episode follows the stories of a few individuals who are approved for surgery, and it also follows the doctors and nurses who give so much of themselves to help. THE SURGERY SHIP is one of the best reality TV episodes MOVIEGUIDE® has ever seen. There’s jeopardy and tension that draws the viewers interest and attention, yet its focus never strays from the stories of the people whose lives are changed. A perfect vehicle for empathy and service, THE SURGERY SHIP never crosses the line to exploit its subjects. If anything, it raises awareness of the hardships these people face and brings to light some of the great work Mercy Ships does. Even though the doctors aren’t able to help everyone that needs surgical help, the people also are able to meet with Christian chaplains, who can pray and offer spiritual hope. The doctors and nurses literally give their blood as they serve the poor and sick, exemplifying mercy and love in ways we often don’t see on TV. Because of some scenes showing surgery, a caution is advised for younger children. Otherwise, THE SURGERY SHIP is must-see viewing. 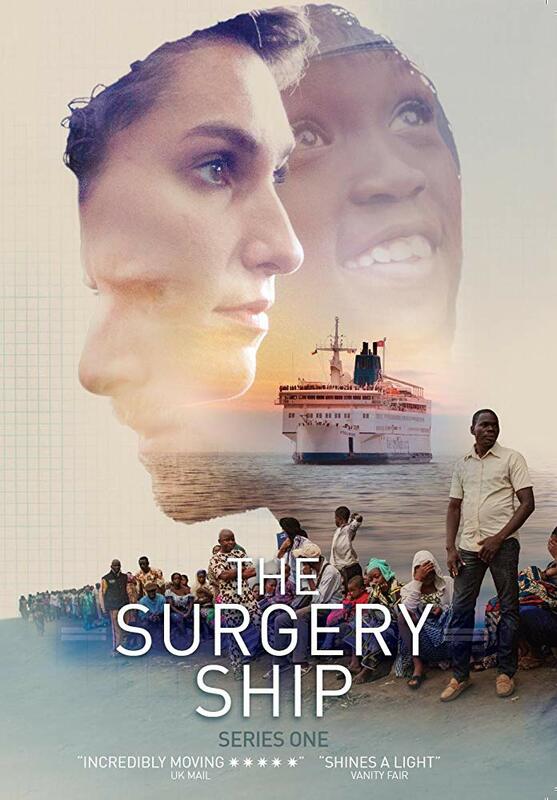 THE SURGERY SHIP is a terrific, inspiring, heart-stirring TV program. The non-profit Mercy Ships sends teams of volunteer doctors and nurses on a ship to some of the most underserved countries in the world to provide much needed medical services. In the first episode, the Mercy Ship arrives in the African country of Benin. Thousands of people show up hoping they’ll get just an appointment. There’s only so much the doctors can do for some conditions, so they sadly have to turn away many people. The episode follows the stories of several people approved for surgery. It also follows the doctors and nurses who give so much of themselves. THE SURGERY SHIP is one of the best Reality TV episodes MOVIEGUIDE® has ever seen. There’s jeopardy and tension that draws the viewer’s interest and attention. Yet, the focus never strays from the people whose lives are changed. The series raises awareness of the hardships these people face and brings to light the great work Mercy Ships does. Some scenes show surgery, so caution is advised. Otherwise, THE SURGERY SHIP is must-see viewing.